Mammoth’s Chief Scientific Officer, Dr Jonathan Bloomfield, talks about the health dangers of life in the 21st century. In my last post, I encouraged everyone to start taking sleep seriously. I touched on the work being done by neuroscientists in developing a clearer understanding of the regenerative processes that occur inside our brains at night. It is thought that compromising the effectiveness of these processes lies at the root of many serious long-term health conditions. A third of the country now report that they sleep for fewer than six hours per night, and cases of sleep disorders being logged with GPs have never been as high. As the general health of people in the UK has declined for the past 60 years and the NHS has stretched to breaking point, we must ask ourselves if this is coincidence or a sign of a problem with the modern lifestyle. This is particularly alarming when we consider the fact that the average time spent asleep each night has decreased by 2 hours per night over the same period. What are the characteristics of the modern lifestyle? Let’s think about it. Our lives have changed dramatically since the turn of the millennium. Most of this transformation has centred around machines that have been designed to make our daily lives easier, more productive and more enjoyable. Such are the benefits of digital technologies that we have been swift to adopt them – not least because we want to keep up with perceived social norms. As we have embraced these advancements, we’ve chosen to focus only on how the modern lifestyle will improve things and not how it may negatively impact on our quality of life. Take Wi-Fi and mobile devices as obvious examples: more than 60% of the UK now have 24/7 access to an infinite source of information, communication and entertainment via their smartphone, tablet or laptop. It is a modern phenomenon that we now head online to do almost everything. From shopping and ordering food to socialising to self-diagnosing health symptoms, almost everything can now be found at the touch of a screen or a button. There are, of course, many other landmark inventions that have changed society in the last 150 years. The lightbulb, the car, the television, the computer, the microwave have also come with direct and indirect impacts on the health and wellbeing of humanity on a global scale. Physical activity, mental health, nutrition and sleep quality have all seen seismic shifts as the modern lifestyle has become established. Despite having the same biology as our ancient ancestors, our lifestyles have become vastly different. And these changes have only accelerated since the turn of the millennium. Considering these rapid changes, where is mankind heading? No one has the crystal ball to know what society will be like in another 50 or 100 years. But what is clear is that if current trends continue, our health and wellbeing will continue to deteriorate as we embrace technologies and lifestyles that compromise our physical and mental capabilities. It is worth noting that the current generation of teenagers have never known a world without the Internet and 24/7 engagement. Talk to teachers and they’ll inform you how much competition there now is for the attention of children. As a specialist in fatigue, it is apparent to me that our way of life stretches human health right to its limits. What’s worrying is that no one really knows what the long-term effects are in store for humanity as we continue to demand instant gratification, overstimulation and never switching off for the #FOMO (fear of missing out). Despite human intelligence and the huge wealth of knowledge we now have in relation to our physiology and psychology, millions of us are still choosing to override our fundamental biological needs and make consistent sub-optimal choices about our most precious asset – health. Take smoking and alcohol as two analogous examples. We know that these vices are harmful and lead to life-threatening diseases, but many of us choose to look past the dangers and instead focus purely on the enjoyment in the moment. We also know that neither is immediately fatal, so the short-term gratification outweighs any long-term risk. Sleep is another one of those fundamental behaviours that many of us are playing fast and loose with. Despite millions of years of evolution and a set biological demand for quantity and quality, modern day man has decided that life is better lived with minimal sleep. Our careers keep us busy and alert all around the clock and our homes and social lives keep us entertained and intrigued late into the night. From electric lighting to alarm clocks, our homes are hardwired not to get our full complement of sleep. Like smoking a single cigarette, losing sleep in a single night isn’t directly fatal, but the habit and the cumulative effect of the modern lifestyle can cause serious health problems in the long term. The short-term reward from minimised sleep is that we gain more wakeful hours for more experiences, memories and opportunities. However, the long-term consequences are either unknown or ignored as people fail to worry about the future in the present. Coffee shops have become the fastest growing segment of the food service industry – helping people fight fatigue with caffeine and sugar on a daily basis. In chemical terms, the consumption of these substances blocks the production of adenosine, which later affects our sleep quality. I meet an incredible number of people in my coaching practice who claim to be “lucky” and don’t seem to need much sleep. They typically say they can “get by” with just 6 hours a night without any ill effects. But what if those effects are present; they just may won’t present themselves until later in life? Acknowledging the modern lifestyle: How can sleep deprivation affect us? Sound familiar? What’s more worrying is that feeling tired can start to feel normal after only a short period of time. This means we develop new baselines and insist on “getting by”. Ask any new parent (who loses approximately 800 hours of sleep in first 12 months) and they will tell you that what constitutes a “good night’s sleep” quickly changes from what it once was. In research, those deliberately deprived of sleep in studies initially notice significant effects on their alertness, mood and physical performance. Yet after only a few days, self-awareness drops off and they develop a “new normal”, which could be well below the performance levels they had previously exhibited. Our brains are not equipped to store the simple memories that relate to our daily health behaviours, so we become very poor at self-regulation. Fatigue plays a significant role in how we behave and live out many of our bad habits – particularly around diet and exercise – and has major responsibility in reducing our overall health and wellbeing. Another key research finding in fatigue is that it mimics the cognitive and physical effects of alcohol. Studies have shown that only relatively moderate levels of sleep induced fatigue impairs performance to an extent that is equivalent or greater than is currently acceptable for alcohol intoxication. Indeed, it has been estimated that 17 hours without sleep impairs us to the same extent as two glasses of wine. It’s staggering to think how many people in society have a daily fatigue status that is similar or worse than someone who would fail a breathalyser test. The bottom line is that fatigue now costs the world economy several billions a year in health-related lost productivity. It may also be attributed to a decline in the population’s health, placing huge pressures on the NHS in the process. As a fatigue and human performance specialist, I am keen to remind people that they need to work with their biology rather than against it if they want to enjoy long-term health and success. Is fatigue posing a serious risk to you? The Epworth Sleepiness Scale is widely used in the field of sleep medicine as a subjective measure of a patient’s sleepiness. The test is a list of eight situations in which you rate your tendency to become sleepy on a scale of 0, no chance of dozing, to 3, high chance of dozing. When you finish the test, add up the values of your responses. Your total score is based on a scale of 0 to 24. 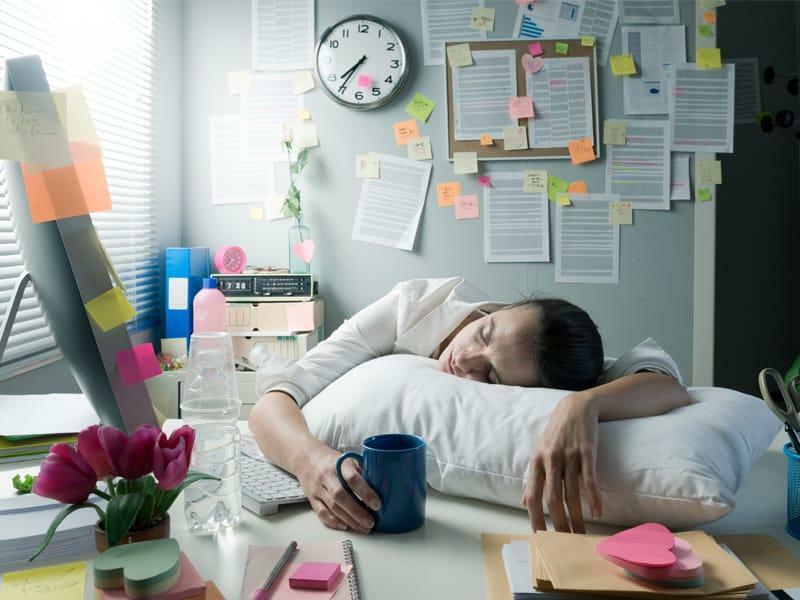 The scale estimates whether you are experiencing excessive sleepiness that possibly requires medical attention and it can be relevant to us in assessing fatigue levels as a result of the modern lifestyle. Sitting and reading . . . . . . Watching TV . . . . . . Sitting inactive in a public place (e.g., a theatre or a meeting) . . . . . .
As a passenger in a car for an hour without a break . . . . . . Lying down to rest in the afternoon when circumstances permit . . . . . . Sitting and talking to someone . . . . . . Sitting quietly after a lunch without alcohol . . . . . . In a car, while stopped for a few minutes in traffic . . . . . .
10-15: You may be excessively sleepy depending on the situation. You may want to consider seeking medical attention. 16-24: You are excessively sleepy and should consider seeking medical attention. Reference: Johns MW. A new method for measuring daytime sleepiness: The Epworth Sleepiness Scale. This entry was posted in Dr Jonathan Bloomfield, Sleep Science and tagged modern lifestyle, sleep deprivation, sleep loss.